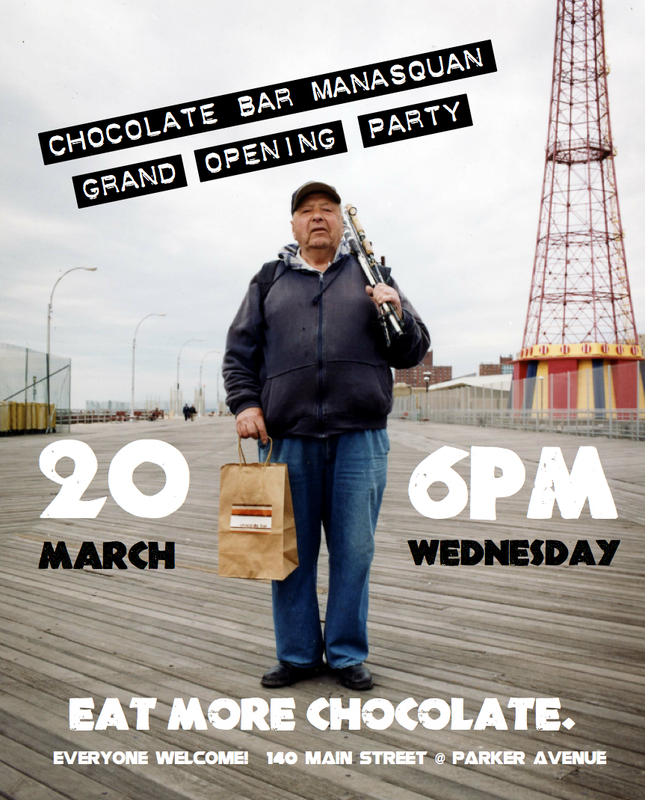 The new Chocolate Bar Manasquan has a grand opening party on Wednesday, March 20 at 6pm. It is located at 140 Main Street @ Parker Avenue. Eat more chocolate. Everyone welcome!